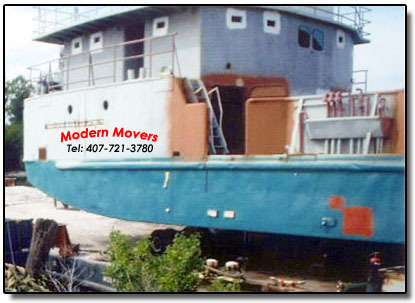 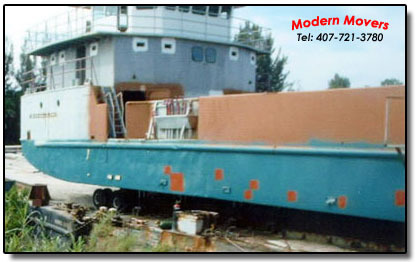 This Landing Craft was dry docked on a barge for renovation and repairs. 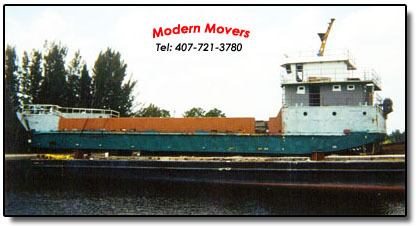 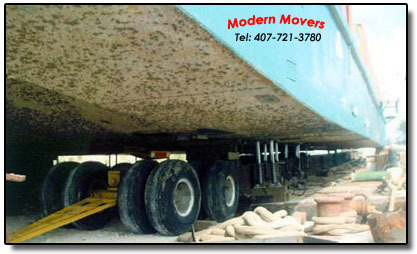 When the vessel was ready to be launched, the water level in the Okeechobee Waterway was so low that the barge was grounded. 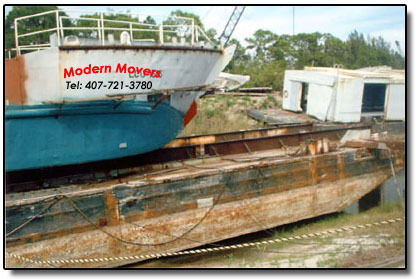 This steel structure, measuring 36’ wide and 147’ long at 272 tons was raised 4’ to accommodate the dollies, and moved to a second barge where the second barge could be sunk in order to launch the vessel, for Maritime Tug and Barge of Stuart.